Look, There’s an Old Man Banksia! Who loves Old Man Banksia? 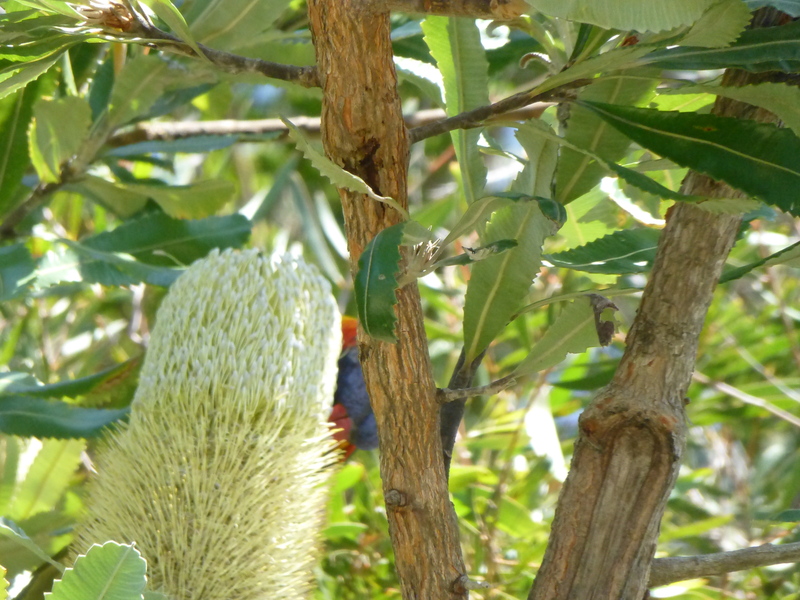 These unusual small trees, native to Australia, flower on cones that remain on the tree as they age: unless birds intervene..
I’ve seen several species of birds that have been attracted by the large flowers. In this photo, one can just catch a glimpse of a Rainbow Lorikeet resting behind one. 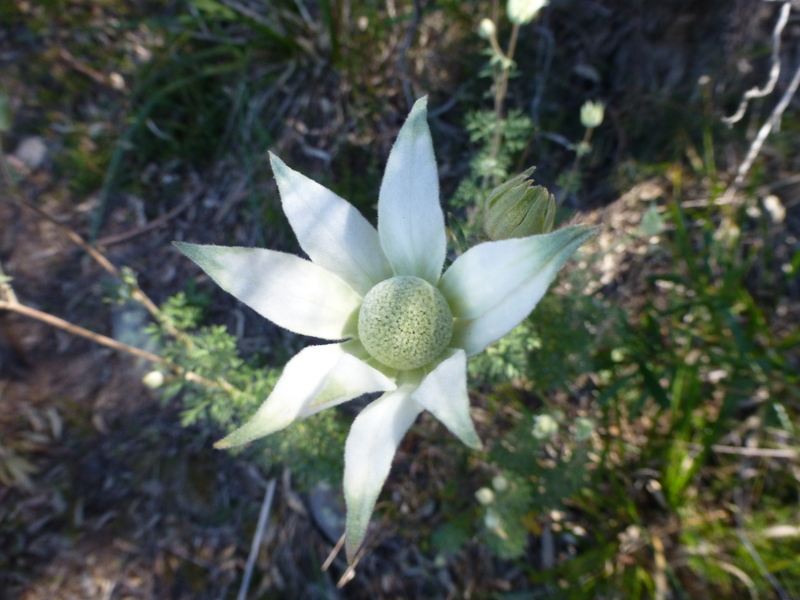 Officially known as Bankia serrata, these natives flower from December until March each year. Has Santa given you a brand new Kindle? Do you like sweet, clean romance? Here’s a short read written by yours truly, and it can be downloaded free until December 28. So how fortunate it is that these magnificent West Australian Red-flowering Gums bloom at this time of year. Right now, where I live (in suburban Sydney, Australia), they are at their peak, and don’t the Rainbow Lorikeets love them? So here’s another photo of these glorious flowers. 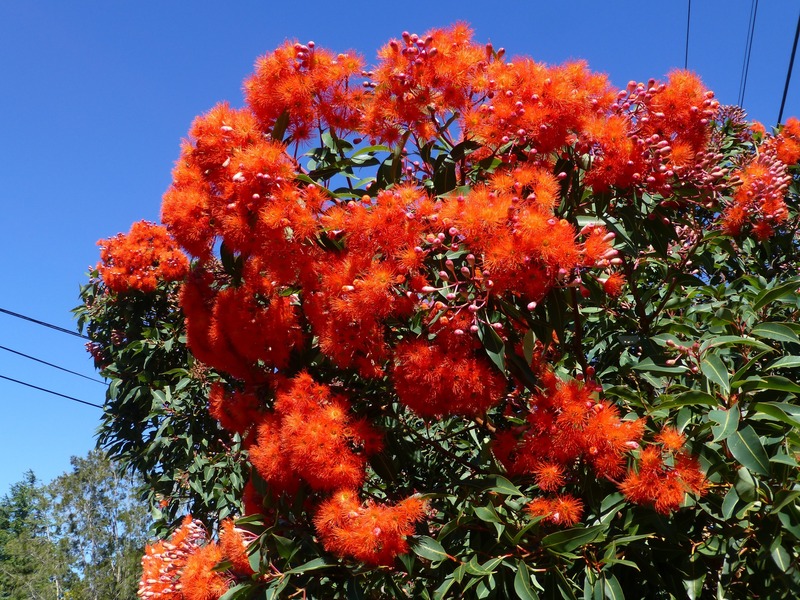 A Wonderful Sight – West Australian Red-Flowering Gums! One of my very favourite Australian native trees is now in flower! I’m speaking of the West Australian Red-flowering Gum. Although Sydney, N.S.W., is not their original home, these delightful plants have adapted perfectly to this environment, and right now there is a wonderful assortment of colours (all in shades of red) in flower. Here is one of the brightest, growing in a garden near to our home.